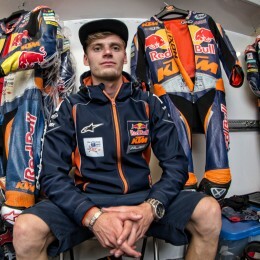 Two prototypes, two motivated, competitive drivers – one of whom has 2,000 km of experience on the road with MotoGP. Anyone can travel to Valencia by plane. 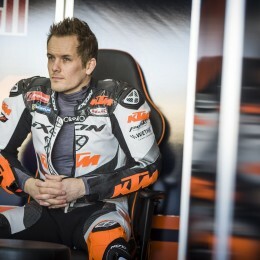 Mika Kallio, recently turned 33 years of age, is one of KTM’s most decorated Grand Prix riders. 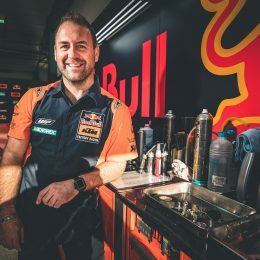 The Fin has posted twelve wins and another 32 podium finishes and classified as a world championship runner-up twice in five years wearing ‘orange’. 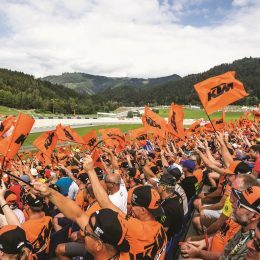 The cut-and-thrust, chop-and-change and general craziness of Moto3 is a tough playground and ‘school’ for MotoGP’s brightest young talents. 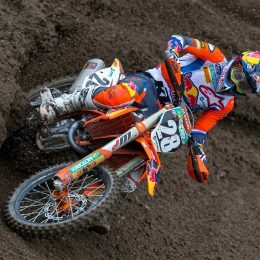 Podium battles often involving up to ten riders and more are the norm on the pacey 250cc four-stroke motorcycles. How does it feel to be in the middle of it all? And how satisfying is it to emerge from an intense and stressful scrap with the taste of rostrum champagne?